Shabby Chic Home Decor and Vintage Furniture Denver, Colorado - What's coming to The Vintage Whites Market? So with 3 weeks till The Vintage Whites Market and a spring break trip in the mix I have been consumed with prepping for the show. (If you missed the blog about the show check it out here: 3 Hearts Style Studio Coming to The Vintage Whites Market) Shows are always so much work but so fun! I will have a lot of smaller decor items as well as some larger pieces. I am still trying to narrow down my assortment. I listed a few things this week as a sneak peak! 2. 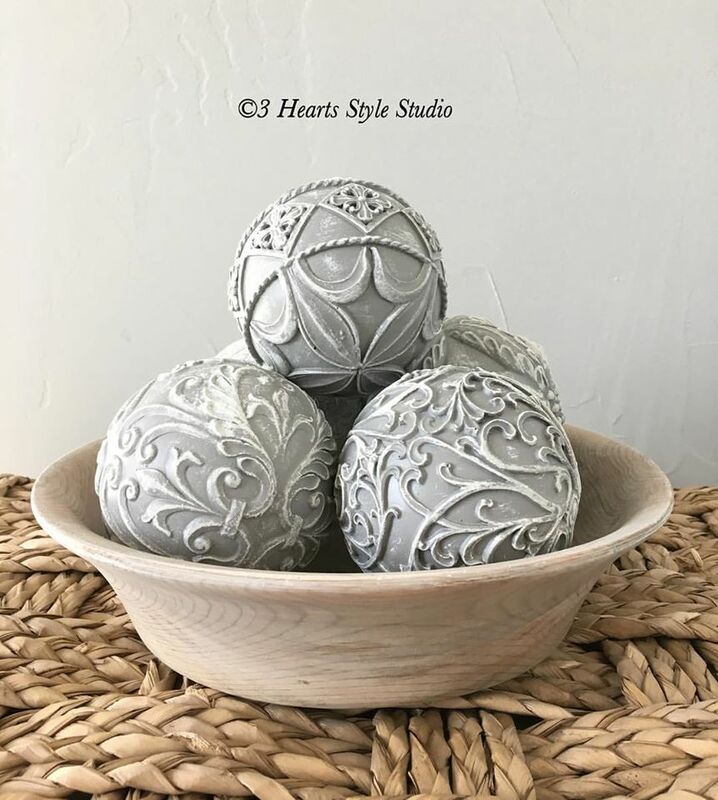 Farmhouse Home Decor - Solid wood white washed dough bowl with ornate gray decorative balls accented with white. 6. Custom Rustic Bulletin Board - Solid wood vintage frame in heavily distressed teal with cork board.